Thanks for the post and the photos. I appreciate the time you take to bring your expertise to the blogosphere; there's a lot one can do with just a few sidings. I have a Coca Cola plant near another distributor I want to model, so this is a very helpful post as I weigh its utility as another addition to the layout. What role does the steam play in unloading the syrup? Does it heat the syrup in the car and hoses to make it flow better? Brilliant work as another fruitbaskets newcastle fan I am impressed with your attention to detail. Chris & Kevin are brothers from Tucson, AZ who moved to SLC for the outdoor scene. After many years of enjoying the Wasatch as their backyard playground, the countless granite routes and powder days continue to challenge and inspire them. For them, the only thing better than adventuring in the mountains is doing so with friends, both old and new alike. Its great to read about the details of a real switching operation. 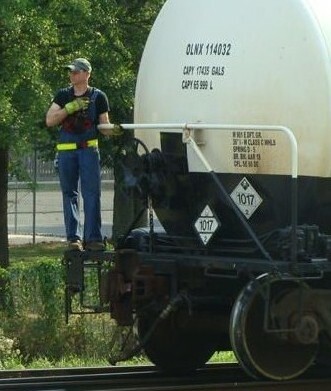 Makes us appreciate the work of railroaders more. I'll bet there is a market for a book with this type of narrative and illustrations. This is just gold for a modeler. Thanks! we award incentive prizes to one student each week for meeting a series of weekly goals. Over the past three week we had a New Yorker, and Oklahoman, and an Oregonian claim the weekly prizes. you just don`t get this type of explanation in modelling mags. Indeed! Thanks for the most-interesting explanation. I am a complete noob to the hobby, so I had no idea that operations could be so complicated. 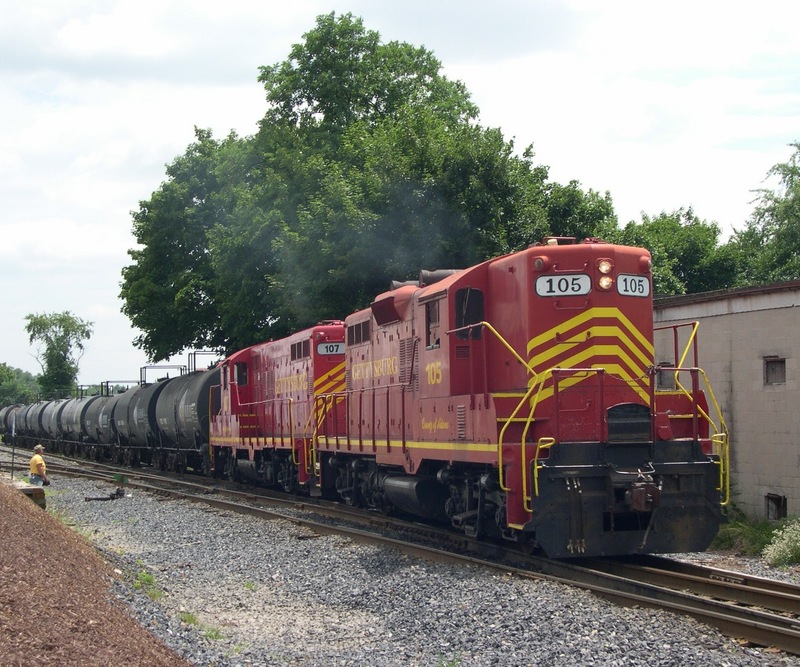 Located in Lexington, KY, G&J Bottling only unloads 2 HFCS cars at any one time, although it's not uncommon to see the short spur filled with the tank cars. Ed: This facility is located in Aspers, PA and manufactures Snappel and Hawaiian Punch. Thanks for the location Jack. Always like to check these industries out on Google/Bing maps for potential industries. I agree with Ken, you have the makings of nice book on prototype operations! Sure wish I had carried a camera around with me a few years ago! Is everything okay Jack? We haven't heard from you in awhile. Access point,,Industrial switch, Wireless serial server, Embedded serial module. Such a great blog on the art of switching and I drive freight trains for a living here in Australia so I do it professionally nearly every day. I've noticed that you've been off the air for a long while. Is all ok? Nice blog . The information's that you included are really nice and i think it will be helpful to me.Thanks to share this post . your work is really great .keep it up.Thanks. I now know quitting smoking is actually literally impossible. I started smoking when I was a kid. It had been the biggest wrong move Ive made. Now I am 45 years old and I have emphysema. I tried each one of the quit smoking tips but none of them did any good. My final try will be the smokeless cigarette in the end. Thanks for sharing, that was interesting to read!